The town of Beaumont is located in Leduc County, 3.2 kilometres south of Edmonton and 6 kilometres northeast of the city of Leduc. The town is bounded by Township Road 510 to the north, Township Road 504 to the south, Range Road 241 to the east, and Range Road 243 to the west. Here is a link to the the Community Map of Beaumont. Beaumont’s parks, connected by a 22.5-kilometre trail network, are open year-round. The 51-acre Four Seasons Park is the home of Don Sparrow Lake, which offers trout fishing in summer and skating in winter. The park also has five ball diamonds, a football field, a volleyball court, picnic sites, and playground equipment. The Beaumont and District Lions Water Play Park has a water play structure and picnic areas. Beaumont also has an RV park and the Beaumont and District Lions Skatepark. Other popular destinations in town include the Beaumont Library, Chantal Bérubé Community Youth Centre, Ken Nichol Regional Recreation Centre, and the Aqua-Fit Centre. The town is also home to the Beaumont Blues Festival, one of Canada’s few all-Canadian blues festivals. Residents have easy access to Edmonton via 50th Street. My family and I have been residents of Montalet since 2007, I have a true appreciation and understanding of the lifestyle we enjoy in Beaumont. We love it here and are excited by the fast growth of our community. My husband Rob and I active real estate investors and proud REIN members (Real Estate Investment Network). Rob works full time managing our real estate portfolio and provides support to our investment clients. 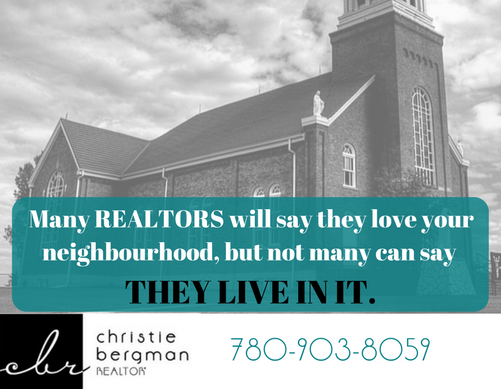 As a REALTOR® my goal is not to sell as many homes as I possibly can but rather provide the best possible service to each client I represent. Becoming a trusted resource for our community is top priority. When not working, you will find us cheering our son, Nate on at the hockey rink, at the pool or traveling.